In a recent ASHA Leader article I discussed intervention activities centered around social studies and expository text, and am continuing to discuss expository language in part one of this series and in this post. 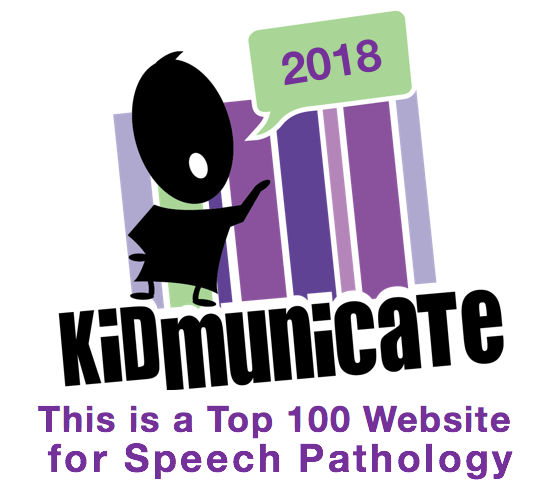 One of the most useful apps for categorization and other expository language activities is Kidspiration Maps (free to try, $9.99 for full app). I truly believe this app should be in every SLP's and reading specialist's library as it has so many contextual uses. Pair this app with a picture book, textbook passage, video, discussion, information from another app or website...the list goes on. Kidspiration has been around for many years as a software resource and is still available also for Mac or PC, but at a higher pricepoint than the iPad version that shares almost all of its features. I will talk about the diagramming features of Kidspiration (and its older brother Inspiration) and expository language in the next post, but in this post I would like to highlight Kidspiration's terrific Super Grouper feature. Super Groupers allow you to create an activity where you sort words and pictures into categories. Again, I find that these activities can be created to accompany any book or topic, and students enjoy taking your "wordsplash" or "picturesplash" and putting it in order. In the process, you can ask them to verbalize categories and descriptive attributes that serve as rationales for their sorting. One great feature of the Inspiration Software apps is that diagrams and outlines can be exported- from Outline View tap the share button and you can export as text to other apps such as Pages or even Google Docs, where students can expand on the language. To create a Super Grouper activity, select the Super Grouper option from the home screen. The Super Grouper menu (highlighted at top) lets you tap and drag shapes into the work area. Double tap at the top of your shape to label it. Tap to select your shape, then tap the paintbrush at the bottom menu to change the background color. The picture library is accessed from the "frame" icon. Browse the categories to tap/drag items to be sorted; you can also search the library or add photos, making even the visual contexts of Kidspiration limitless. You can add audio support to your activity or have students record sentences as they sort by tapping any picture, then the microphone button at the bottom, which allows you to record an audio note. To make a more text-based sorting activity, use the Shapes menu. Double tap on any shape to type in it. A very helpful feature of Kidspiration is that activities can be duplicated, so that in the event you complete the sort with multiple groups, you don't have to keep unsorting the items! From the Open Document menu, tap Edit, then tap to select an activity, and tap the Copy icon. This menu also allows you to share your created activities with colleagues who have Kidspiration. From the Open Document menu, tap Edit, then tap to select an activity, and tap the Share icon. From there you can mail the activity, send it to Dropbox, or tap More to send to Google Drive (where you can share the file with whomever). It's a great idea for a group of colleagues to work together creating and sharing activities that would be useful to all.